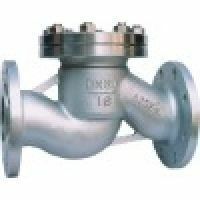 Flange connection: ANSI/ASME B16.5 for NPS24, ASME B16.47A/MSS SP-44 for NPS>24. Pressure: 150Lb, 300Lb, 600Lb, 900Lb or PN10~PN160 or JIS 10K ~ JIS 40K. Nominal diameters: 1 1/2~ 24 or DN40~DN600. Major materials: WCB, WC1, WC6, WC9, LCC, LCB, CF8(304), CF8M(316), CF3(304L), CF3M(316L), etc.